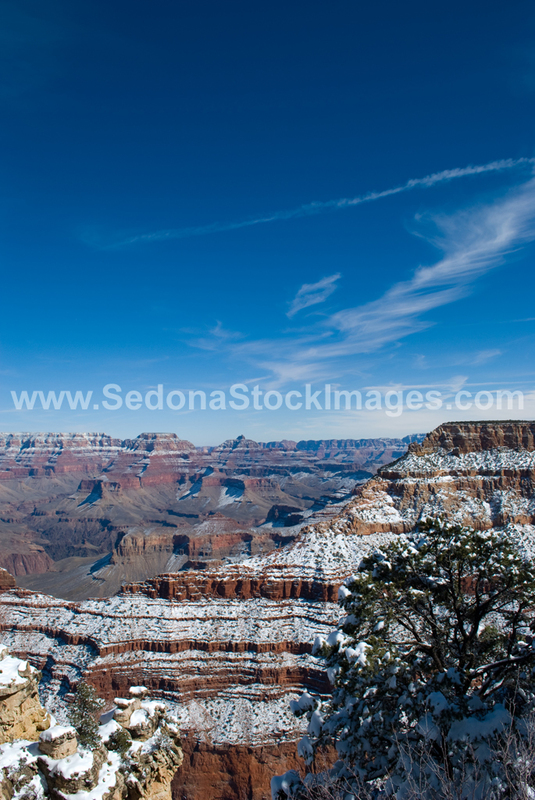 Photo ID: GCSnow2862.jpg South Rim of the Grand Canyon in winter. View from Mather Point (7,120 ft high) of white Kaibab Formation rock from 270 million years ago in the left foreground and snowy rusty Hermit Shale Formation ridge from 280 million years ago in the right foreground known as O'Neill Butte (5,700 ft high). The square tan peak at the horizon is Wotans Throne (7,633 ft high) and Vishnu Temple (7,829 ft high) is the pointy gray peak on the right.